Cape Town is a beautiful city located on the coast of South Africa. 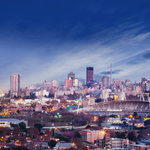 The Mother City is a destination abundant with awe-inspiring landscapes, vast cultures and exciting gastronomy. With a population of over 4.2 million people, it is a vibrant city welcoming all to experience this one-of-a-kind destination. Popular tourist attraction in Cape Town include Robben Island, GrandWest Casino and Lion’s Head. 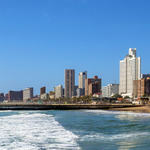 Jet off to this exciting coastal city with cheap Mango flights from Durban to Cape Town. Cape Town’s hub airport is Cape Town International Airport (CPT), which is a 15-minute drive from the city centre. 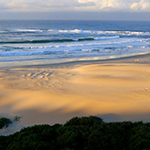 Book cheap Mango flights from Durban to Cape Town at Travelstart today! You must present a South African ID or passport to travel from Durban to Cape Town. Cape Town is home to many breathtaking attractions, including Table Mountain, Kirstenbosch National Botanical Garden and Chapman’s Peak.